Seems more of an evolutionary 'tart-up' job than revolutionary and 'next-gen'. Though in the old days, incorporation of Picatinny rails in the design would have been considered a Counter-Revolutionary 'gulag' offense. Oh, they would have copied them, they just would have named it something else. So what is the only thing that has ‘changed’ that could have caused such a shift in the Global hawk fortunes in the interim? Oh yeah - A fatally-flawed world-view was fraudulently packaged into a document posing as a National Defense Strategy and unleashed to provide ‘cover’ for a ton of stupidity that we will experience between now and the end of the current Administration with which we are now plagued. 2013 can’t come soon enough. BTW: Someone must have telegraphed the ‘Narrative’ early. Senator John Hoven of North Dakota (Where the Global Hawks were to be based) was calling for the Global Hawk to continue back in December ’11. 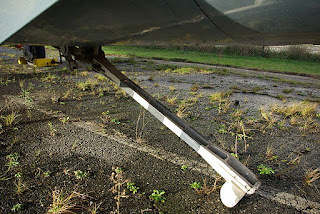 F-35 Tail Hook Risks? Meh. Other than using the word ‘blame’ in the headline to draw the reader’s eye there’s a pretty good piece at the Navy Times on the F-35 tail hook ‘issue’. Richard Aboulafia, an analyst at the Teal Group, Fairfax, Va., said the claim that the F-35C could never land on a ship was always highly dubious. ''They turned the YF-17 into a carrier plane, why couldn't they correct carrier-hook problems here?'' he said. ''This does not appear to be a killer problem.'' Flight testing is designed to uncover and fix problems with a new aircraft, Aboulafia said. ''This is the kind of problem that might come out during the flight testing of a carrier-based plane,'' he said. Lest someone think arresting gear functionality should have been a ‘slam dunk’ out of the box, “History” has shown it more to be something that has to be worked out with every plane. See this excellent blog for a pretty decent survey of past designs and challenges. Even if the 'first round redesign' doesn’t provide the final ‘answer‘ to the problem, it will probably provide more data to support further tweaking of the arresting gear. But if the problem isn’t fixed the first time, I can almost guarantee there will be near-instantaneous 'doomsayer' claims that something much more draconian/costly/delaying 'will have to be done’. I am just mentioning it now so you can get some ear protection before the caterwauling commences. I'd wait to get the data from the next round of tests, and get excited only if the data told me I should. PS: I’d discuss the technical challenges of successful arresting gear development in more detail, (beginning with the fact that when it comes to an aircraft system interacting with the ship system what we are talking about is essentially a chaotic meta-system) but most people’s eyes would glaze over before I was finished. OK, I admit it, since I deal with this kind of stuff from 9 to 5 it would be no fun for me either. The article linked above covers what may be the critical bits in this case anyway. Just think about ALL the variables that might be involved and you’ll get the idea. It is the convergence of the Chump Effect with the Gell-Mann Amnesia Effect. Providers and Consumers: there's plenty of 'blame' to go around. I think maybe he is trying to 'nag' his way onto the F-35 program. Bill Sweetman has his spleen vent set to ‘Full Snark Mode’ in an ongoing series of posts that tail-twist the F-35 program over the F-35 Quick Look Report and what (he thinks) 'it all means’ from the Ragin’ Hedge Baby from the Shires© perspective. I noticed that in the manner of Brave Sir Robin said gadfly decided to go deep (as in shovel ready) on this topic while the Aerospace industry in general is in its ‘end of year’ hiatus. I have had more important things to do (and kill) than negative memes over the Christmas break, so I haven’t given too much attention to the uninformed ruminations of itinerant journolistas, their codependent Non-State-Actor friends, or the rest of the merry Anti-JSF tribe until tonight. I hit the ARES blog looking for details on the latest Saudi/F-15 deal before I head back to work tomorrow and what do I find? Yeah…. another Sweetman ‘piece’ taking a swipe at the F-35 and ‘its supporters’ titled: “F-35 Proponents Say The Darndest Things”. No snark there eh? "appropriately manage JSF misinformation in the media". Do they mean correcting misinformation, or maintaining misinformation at an appropriate level? Since Mr. Sweetman is apparently at a loss (in more ways than one) as to what the Australian GOVERNMENT AUDIT (i.e. outside the JSF program) report means, let us use a suitable example of media misinformation to help correct misinformation and perhaps clarify for Mr. Sweetman to what the Australian Government seems to be referring. There is no faster way for an adept flack to kill take 'cheap shots' at a story program than to conflate a the "nothing really new on the technical front” report into a “this program is as bad as we wished” gambit. We've seen a good deal of that in the six days since the Quick Look Review report escaped from its cage. "the F-35 was turning out to have the same schedule, cost and technical issues suffered by most aircraft programs, including Boeing's new 787 Dreamliner. 'It's not a pleasant picture, but it's far from a terminal one either'." If "most programs" had the Dreamliner's issues, this would be one depressingly incompetent industry to work in. And the 787's problems so far have translated into strategic failure: The goal was to bury Airbus in the mid-market, but the old-school A330 is still alive and kicking, while Airbus outmaneuvered a distracted Boeing in the narrow-body segment. Notice the overt obfuscation of the main “same schedule, cost and technical issues suffered by most aircraft programs” point by focusing on an alleged Dreamliner failure? So what if the final Dreamliner story is yet to be written? It would appear that it is apparently within “someone’s” journalistic license to ‘beg the question’ even when employing misdirection. 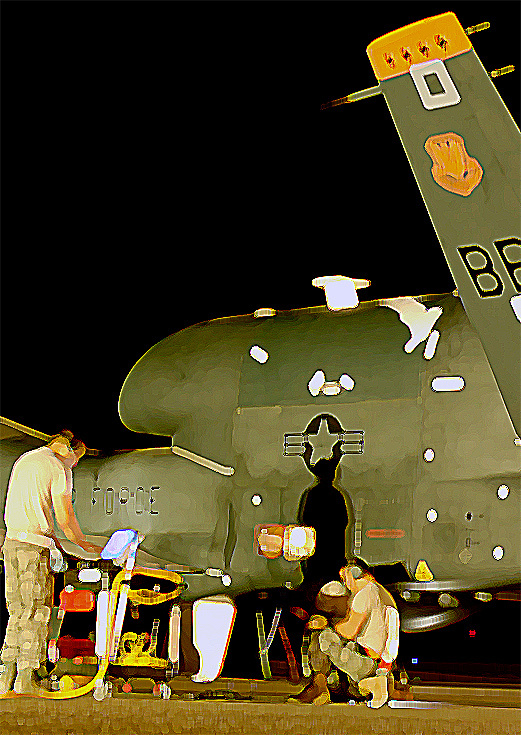 Using evidence in hand, and avoiding unsubstantiated speculation, a disinterested observer would have to conclude that the JSF problems are not may or may not be terminal, and he or she would be cautious concerning a report that was built upon largely antiquated data and not assert that but the idea that a major take-away from the first full year of flying (F-35s this year have flown twice as many sorties as the program had notched up a year ago) is that the production ramp-up needs to be stopped is something new, and not normal. After all, greater concurrency has been seen more often since at least WW2. For the F-35, it's also not news that a critical report leaked as ‘fast’ as it did. That Such a leak in this day and age can just as readily be usually an indication of a malcontent in any of the program office, test, operational, or competing (F-18?) communities rather than evidence of any high-level dissent. It could even be evidence of political hardball coming from the office of the Acting Undersecretary’s office (After all, it was, Jame G. Burton, one of the less famous and perhaps less capable but slightly more honorable of the so-called ‘reformers’in the 70s-80s who observed (to paraphrase) ‘Acting’ Something-secretaries tend to very much want to be permanent Something-secretaries. Most Some of the press coverage to-date misses the point of the report’s incomplete nature on the subject of concurrency,and instead the coverage seems to be focusing on building a narrative which is asserts there is an unusual and the looming collision between discovery in flight and fatigue testing and planned production increases . While the previous is 'true' (to a point), informed and balanced reporting would also note that the QLR does not take into consideration the risks and associated costs of NOT proceeding as planned and the threats those risks pose to the program. It is not as if the fact that the technical aspects of a program pose far less total cost risk to a program than programmatic aspects is not well known. The largest drivers have been shown to be #1: quantity changes (22 percent), #2: requirements growth (13 percent), and #3: schedule changes (9 percent). Competent reportage would take into consideration what is missing from the QLR and what the impacts of following the recommendations might afflict on the program. The QLR recommends changing quantities and schedule, two of the three largest cost drivers? Where is the reportage asking the hard questions on that apparent conflict? That's the good-news story? "Hi, dear, how was the check-up?" "Fantastic! I don't have Ebola yet!" “That's the good-news story? "Hi, dear, how was the check-up?" "Doc says I have to work on things but nothing that we don't think we can work out." Of course, why bring up the allegory at all if it doesn’t support the negative meme drivng a story in the first place? Let's look at that the wording in detail (page 7). The QLR team separated the program issues into four categories. Category I: "Areas where a fundamental design risk has been identified with realized consequences sufficient to preclude further production." "it would have been a damning indictment of program management if they had. For a team of outsiders to walk in and, in 30 days, discover an unfixable problem sufficient to terminate the program on the spot would point to ineptitude at best." When in reality, a problem of that magnitude on a program as far along as the F-35 is more often as plainly obvious to an experienced program manager as the nose on any obdurate journalist’s face. As noted above, the categories were set by the QLR team on the basis of what they found. Also, the team's original charter was not to determine whether the program should be whacked, but to investigate concerns about testing delays, and concurrency costs. So if they didn't find any Category I issues, why is there a Category I at all - except to provide the program's defenders with a soundbite? If anyone has a brilliant alternative answer to that question, I'm all ears.